There didn't seem to be anywhere to neatly install speakers in the MGB. 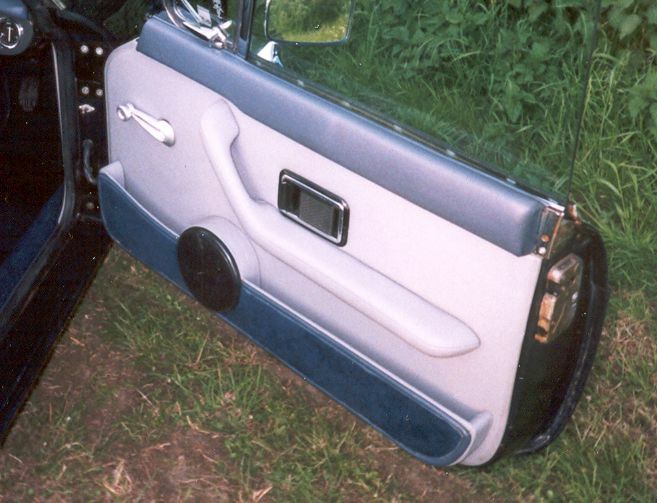 The window winder on the door removed all of the likely spots there, and there weren't any nice places to fit larger bass speakers. 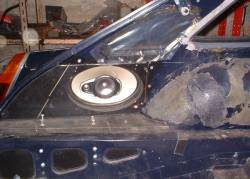 So I made my own speaker boxes for the front doors and the rear quarters. 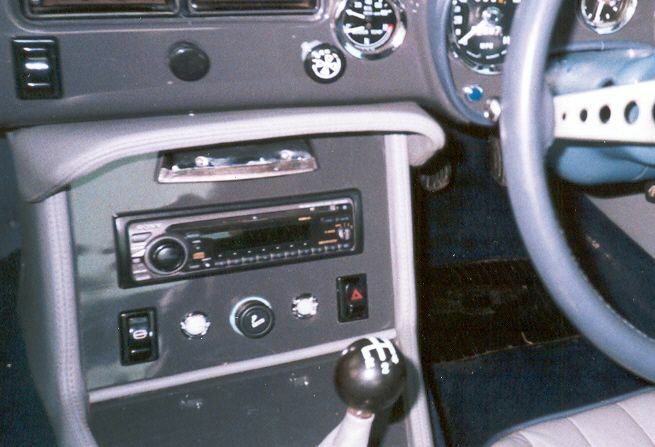 I've never liked the gaps on either side of the boot in the MGB. Apart from the obvious problems of things falling into them, they connect the interior of the car with the noisy body side cavity. I filled the gaps with a pair of base speakers. They are mounted on 3/4 inch sheets of MDF and perform their function well. I've extended the rear quarter trim panel all the way down to the boot floor and covered the lower section with carpet. The speaker covers are vulnerable to knocks. I run the rear speakers at a relatively low volume - they add depth to the sound from the front speakers but don't take over. The front speakers are a little low down due to packaging issues, and partially obscured by the front of the seats, so some of the higher frequency sound is lost. I'd like to balance them with some of the tiny high frequency only speakers that you see on top of the dash in modern cars. 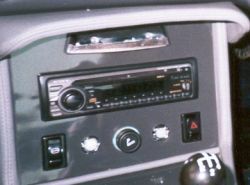 The radio is a SONY CD player. I chose it because there aren't any bling blue lights and the important controls are big. Actually the sound is good too - not cheesy and sparkly like some other radios. The installation is nice for long trips. It's ideally suited to my favourite organ music (does anyone else like Franck: Chorale No.2 in B minor? ), although I mostly just listen to the enormous V8 under the bonnet. 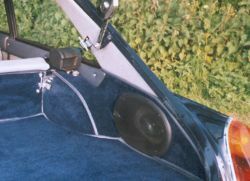 One problem with the speaker positions is the speakers are mounted in the places where I might put luggage and soft bags on long trips. I have to juggle the luggage a little to aviod covering the speakers.